“Everyone has a diagnosis,” local marriage and family therapist Laura Smith said as she pulled out a thick book, her hand dropping a bit as the weight shifted from the shelf to her arm. The Diagnostic and Statistical Manual of Mental Disorders (DSM) is published by the American Psychiatric Association. The fifth and most recent 943-page volume, published in 2000, contains 365 identified diagnoses. Has a friend ever told you that you are really moody when you are drunk? Diagnosis No. 291.89: Alcohol-Induced Mood Disorder. Has there ever been a day in which you really just didn’t want to see anyone? Diagnosis No. 301.7: Antisocial Personality Disorder. Have you ever been unable to sleep because of all that espresso you had while studying? Diagnosis No. 292.85: Caffeine-Induced Sleep Disorder. Have you ever fought with your sibling because he or she was being obnoxious? Diagnosis No. V61.8: Sibling Relational Problem. Do you ever feel sad or nostalgic about being away from your parents? Diagnosis No. 309.21: Separation Anxiety Disorder. If you answered yes to any of these questions, the DSM tells us you have a mental disorder. Kristi Erdal, a CC psychology professor, believes that the DSM’s apparent over-inclusiveness has its pros and cons. “The con is that we are diagnosing everything. The pro . . . is that people who feel they need help can actually have their treatment reimbursed by health insurance. It may seem cynical, but it’s a little rough hearing ‘Oh, you’re not in the DSM? You can’t be treated.’” Despite the upside that Erdal acknowledges, the idea that everyone has a diagnosis could threaten the legitimacy of what some might consider more serious mental disorders. At the same time, perhaps it could establish that, hey—we are all different. Regardless of whether you find the DSM helpful or harmful, the issue to consider is the stigma associated with a label of mental illness. American sociologist Howard S. Becker laid the foundation for labeling theory. Labeling theory deals with deviance, which is defined as the state of departing from usual or accepted standards that are set and shaped by culture, society, age, race, sexuality, etc. According to this theory, reactions to deviance, as opposed to the acts themselves, delineate what is deviant. In other words, “Deviance is not a quality of the act the person commits, but rather a consequence of the application by others of rules and sanctions to an ‘offender,’” as Becker states in his article “Relativism: Labeling Theory.” Let’s say, for example, that you are a student with Attention Deficit Disorder (ADD), and though you are intelligent, you have trouble working up to the speed of other students in your classes. Because you have ADD, your professors give you extra time on your exams, set aside a portion of their office hours specifically to work with you, and sometimes even give you a different homework schedule so you can work at your own pace. According to labeling theory, you are deviant not because you have this condition, but rather because society designates standards that you do not meet. In this case, you are considered deviant because your professors expect that everyone should work at the same pace, and that since you don’t, you need separate rules and separate standards. Eight years ago, a friend of mine chose to disregard the diagnosis when the doctor told her that she was bipolar. After receiving the same diagnosis seven months ago from another doctor, however, my friend decided to accept it. Following this acceptance, things became worse than ever. She began experiencing intense ups and downs and severe manic episodes at night. Though she had always suffered from these afflictions, they had never been so severe or so frequent. Soon after the diagnosis, she began reading about bipolar disorder, and in the process seemed to pick up certain characteristics and behaviors as she read about them. This is not to say that she became bipolar when she was diagnosed; rather, it is to say that her initial behavior in the months following her diagnosis seemed a clear reflection and result of the label of her diagnosis. For some, it is easy to attribute everything—every flaw, every act of your own that you can’t understand—to the illness, and in the process, adopt certain aspects of the disorder that you didn’t exhibit or acknowledge before. According to Becker, “Being branded as deviant has important consequences for one’s further social participation and self-image.” Your understanding of yourself would change after being diagnosed with a mental illness. Upon diagnosis, the illness becomes a part of your identity; it can at times explain certain behaviors, feelings or emotions, and it can also explain others’ behavior toward you. “If you are concerned that that is your primary identity, you start to see the world through the lens of [the] mental illness,” Erdal said. Once again, we return to the stigma of mental disorder, not only as attributed by society, but also as attributed by oneself. Despite the initial effects of the label, Erdal explains that the idea that the mental disorder is your primary identity “tends to dissipate as you remember that you are a mother, a wife, a friend, a runner. [The diagnosis] is always in that list, but it moves back over time.” Learning to accept your diagnosis without letting it define you is progress in the direction of defeating the label and minimizing its ramifications. But this progress is often limited to the individual. Society moves at an entirely different pace, especially when it comes to adjusting the way it defines or handles particular forms of deviance. “I thought that when the biological undertones were found, that mental illnesses would be more accepted. But no, the more biological evidence, the more stigma has been associated with it. I don’t anticipate the stigma issue improving anytime soon,” Erdal said. It is unlikely that society will have a collective change of heart, suddenly accept mental disorders, and broaden the general understanding and definition of the term ‘normal.’ But, there is potential for progress for individuals who recognize something different about themselves, see a doctor, receive a diagnosis and, over time, come to terms with their disorder. Smith works on this individual level in her therapy sessions: “My job is to give them an experience, a time for healing . . . I don’t really give advice. That’s not what my job is. My job is to get the person to understand themselves.” Perhaps a diagnosed individual can, over time, come to terms with his or her diagnosis as my friend did. 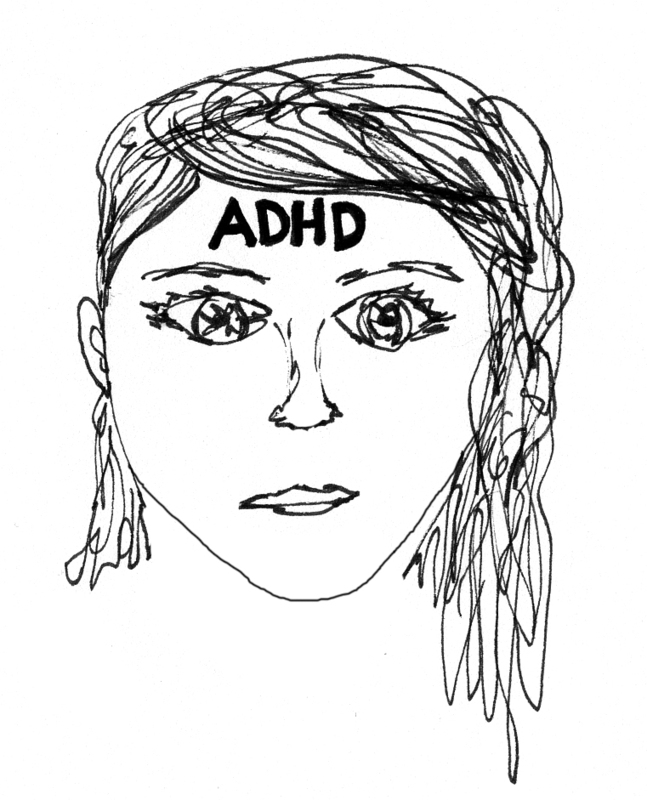 Regardless of personal growth, society still brands your disorder to your forehead for all to see. That’s not productive or progressive. While reading books about her disorder, my friend found herself completely discouraged. Thoughts were flying through her mind—how could she ever function as a part of society, having this disorder and knowing what it entails? How would people perceive her? When a diagnosed individual who is doing well and receiving therapy and treatment still strongly believes she can’t be ‘normal’ again, there has to be something wrong. The whole point of a diagnosis is to help a person receive proper treatment and gain better understanding of his or her illness. While the diagnosis may be helping on that front, it is also tacking a label to the individual, which, consequently, is progress in the wrong direction.